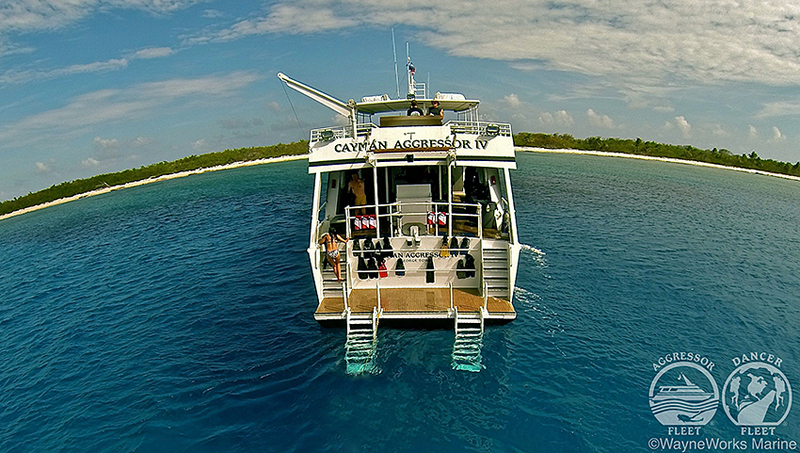 Crystal clear, warm waters of the Caribbean waiting for you! 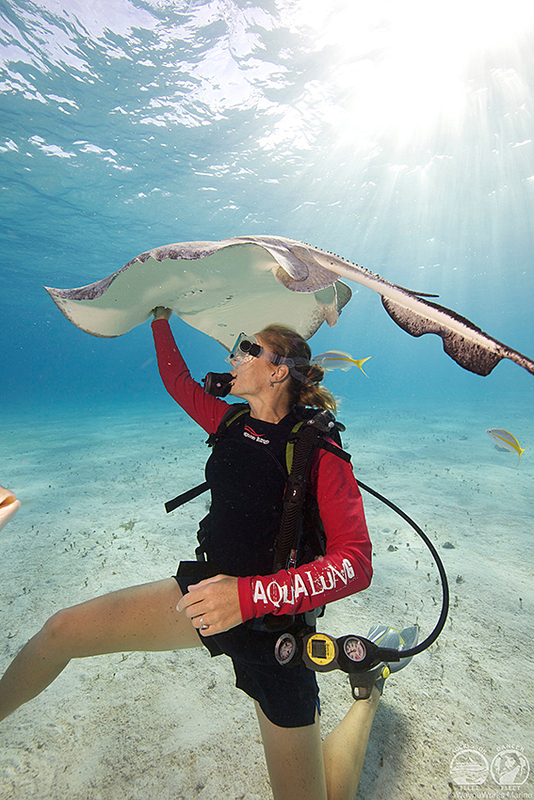 Enjoy incredible underwater adventures to the legendary Cayman Islands. 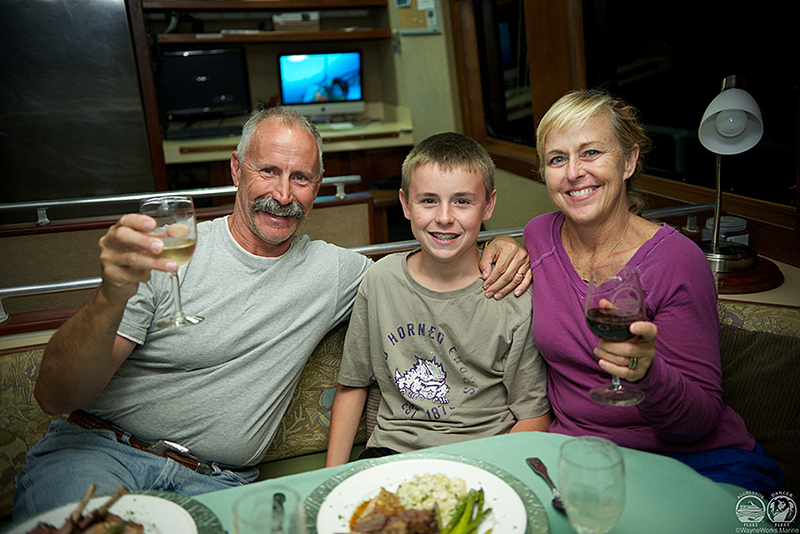 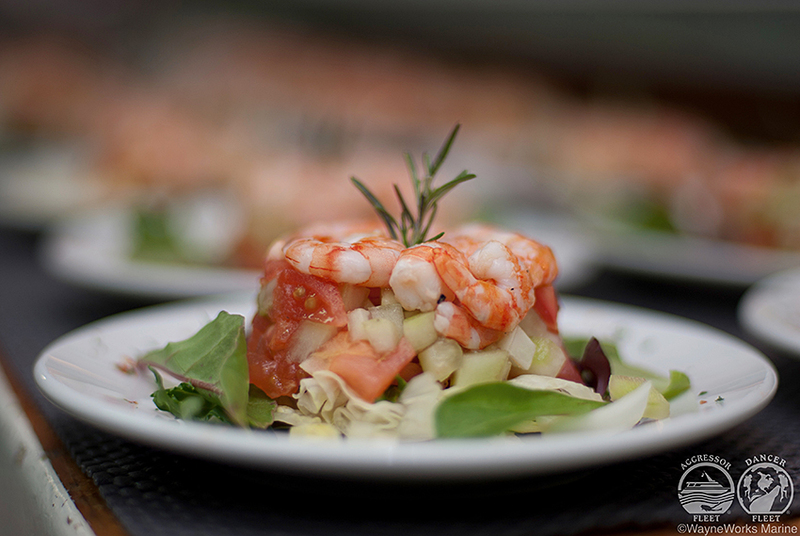 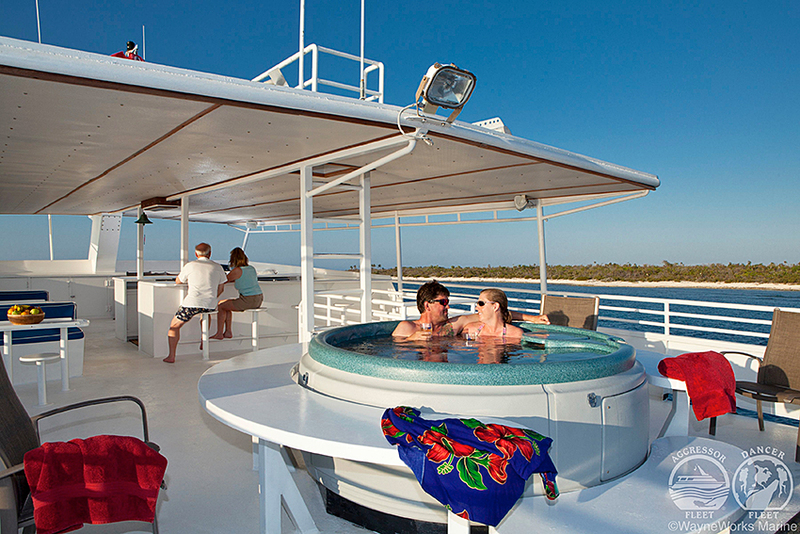 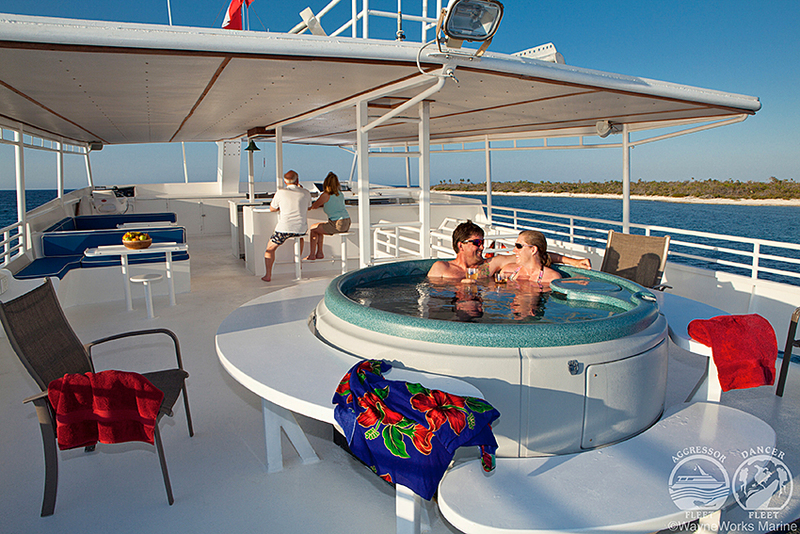 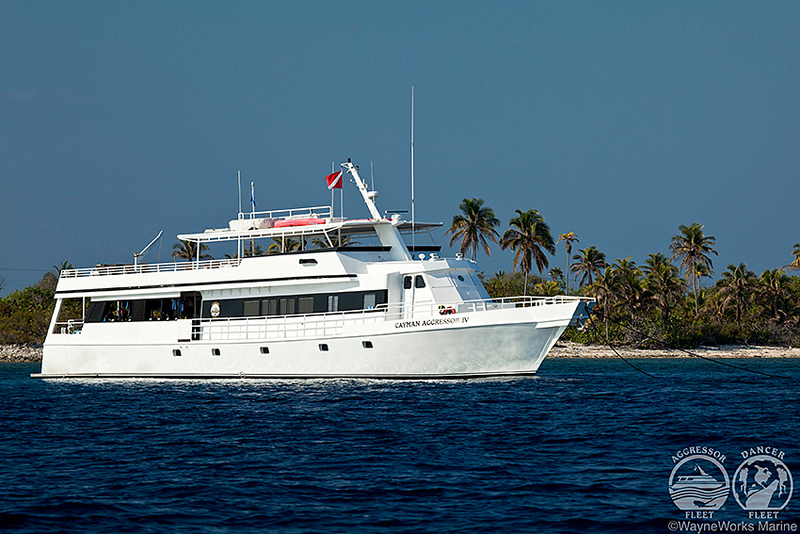 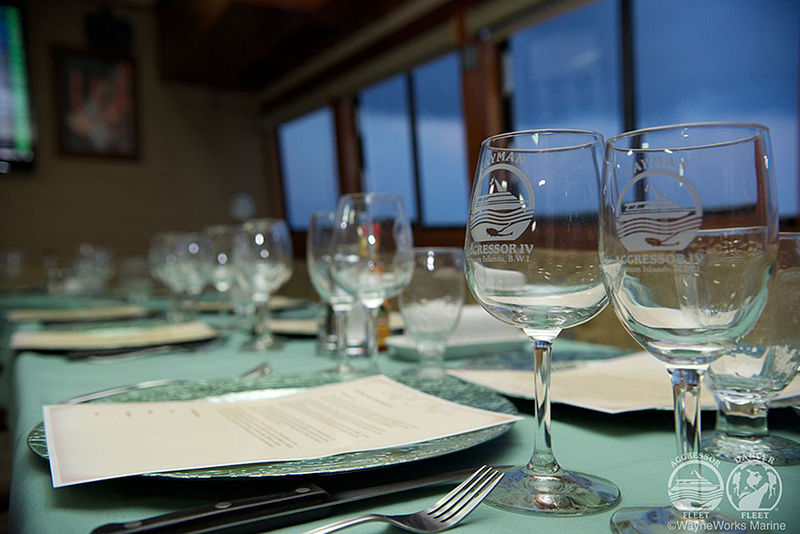 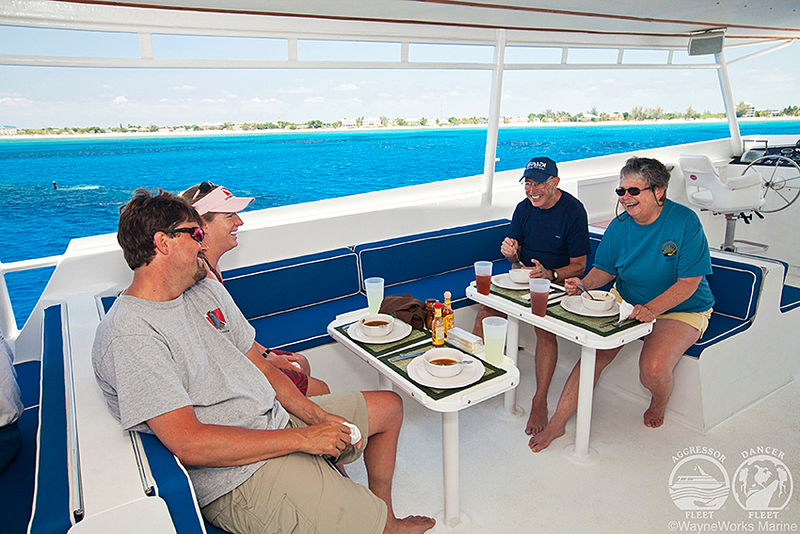 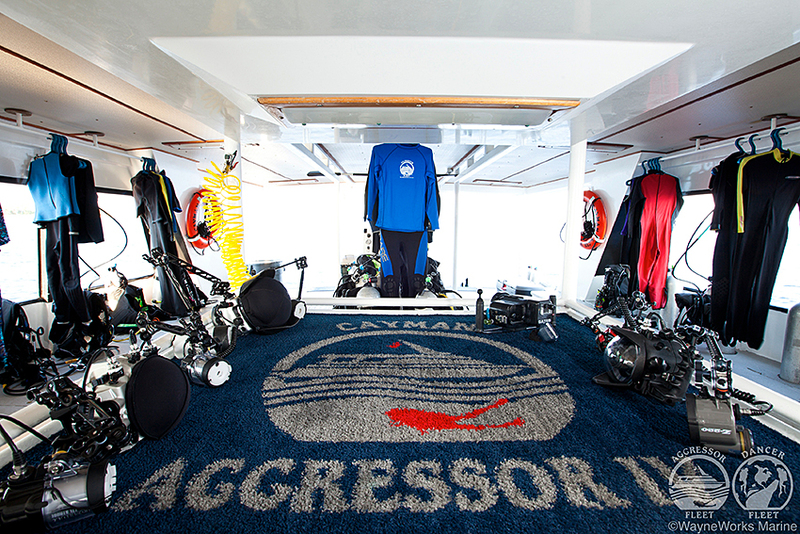 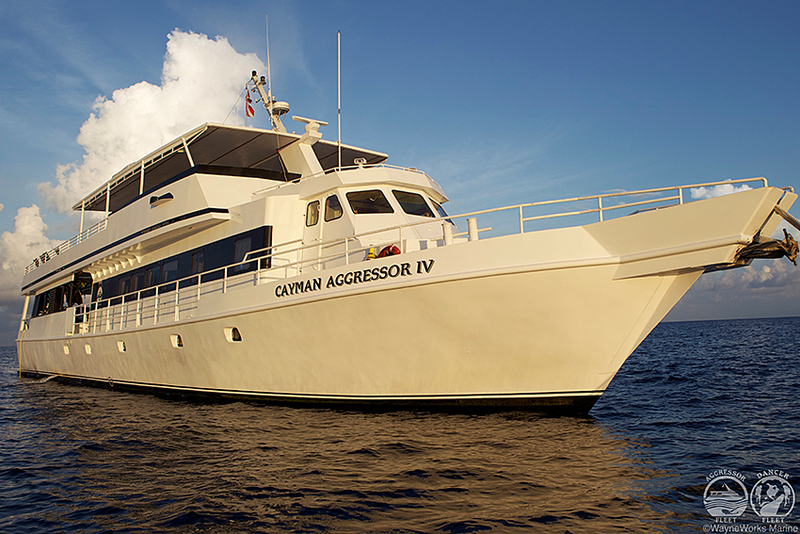 Experience some of the best of what the Caribbean has to offer on board of Cayman Aggressor IV. 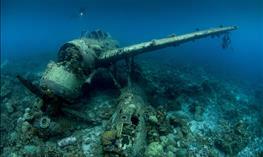 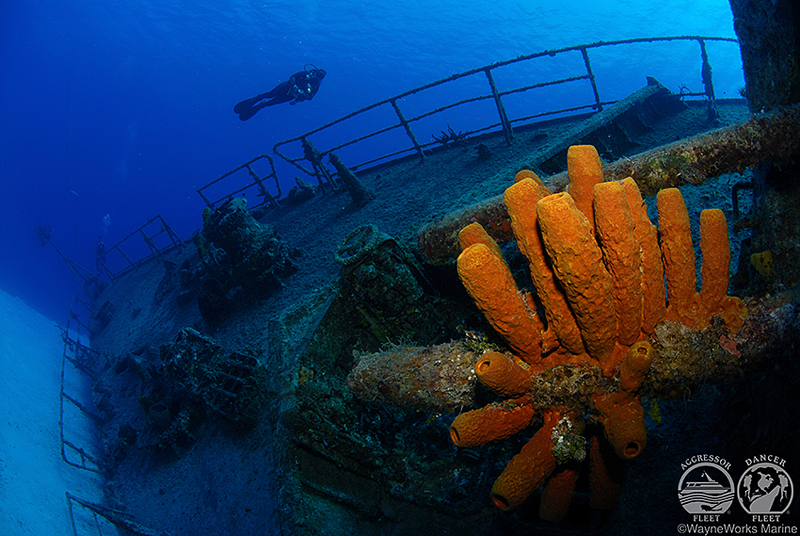 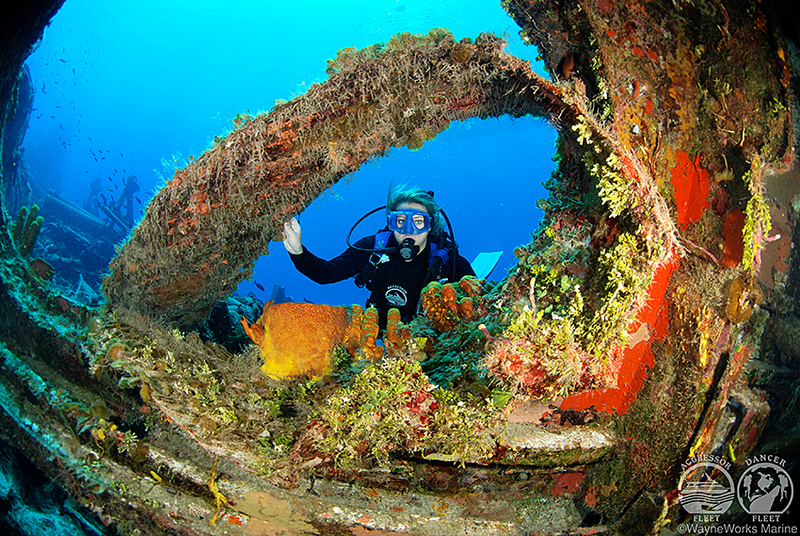 Dive numerous wrecks, fascinating walls and indulge in one of the best coral reefs in the region! 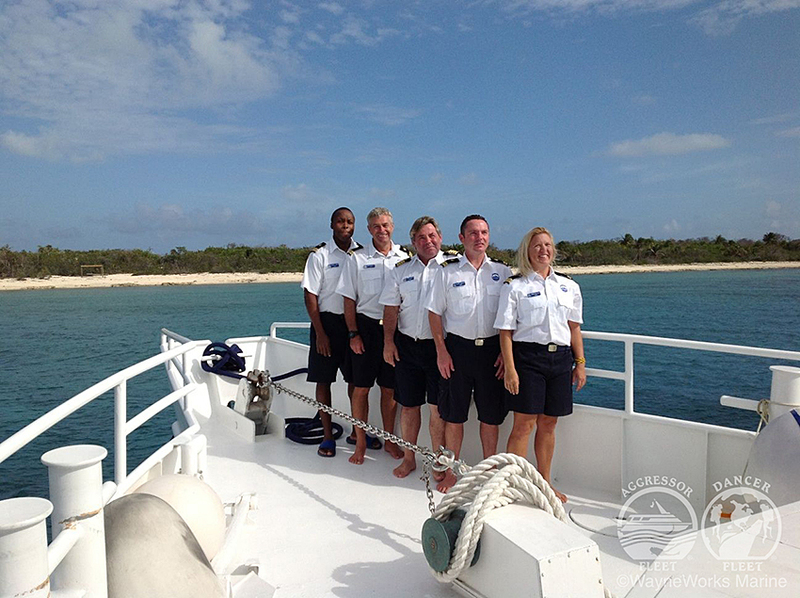 Day 1 (16/11/17): Departure from Europe* with British Airways via London to Grand Cayman. 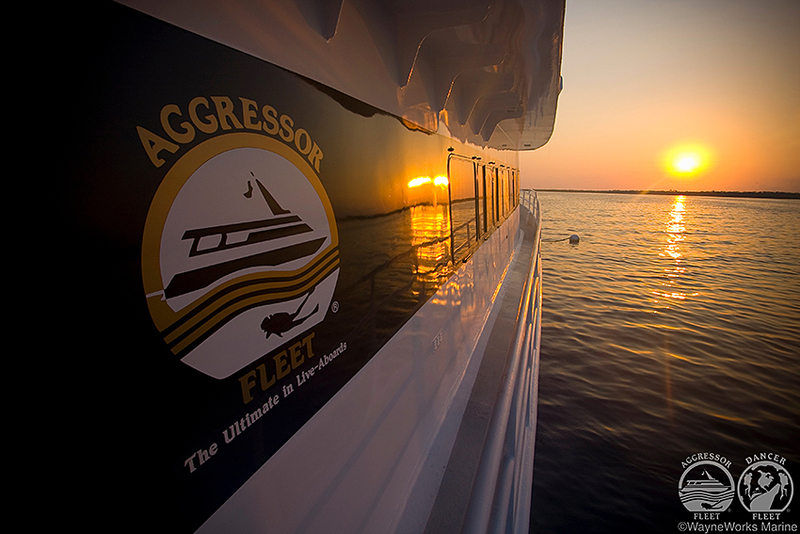 Arriving the same day. 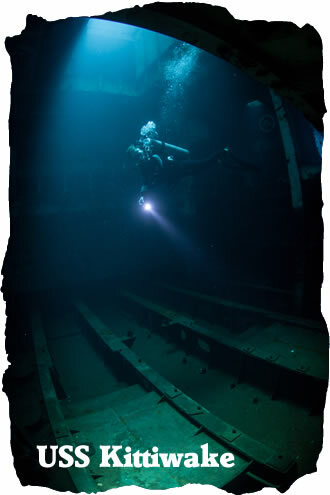 Day 4-10 (19-24 / 11/17): Dive, Eat, Sleep - Repeat! 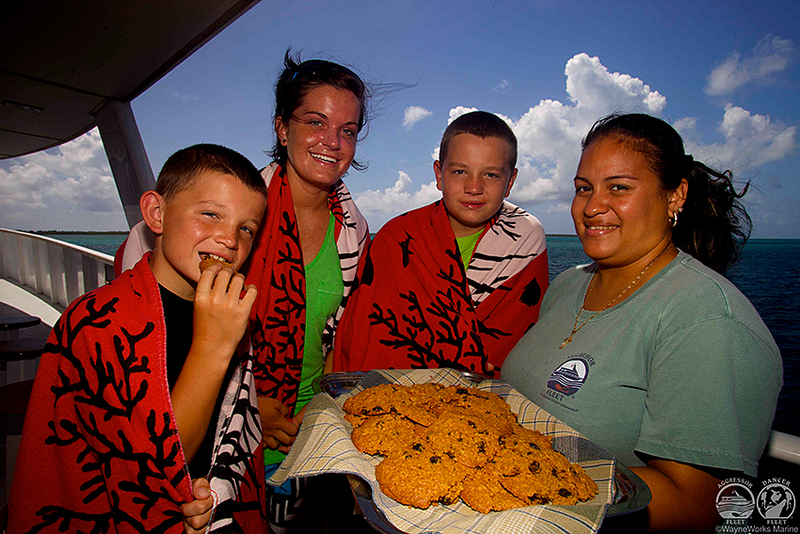 The Cayman Islands are a British Crown Colony, located 480 miles south of Miami, nestled in the turquoise waters of the western Caribbean. 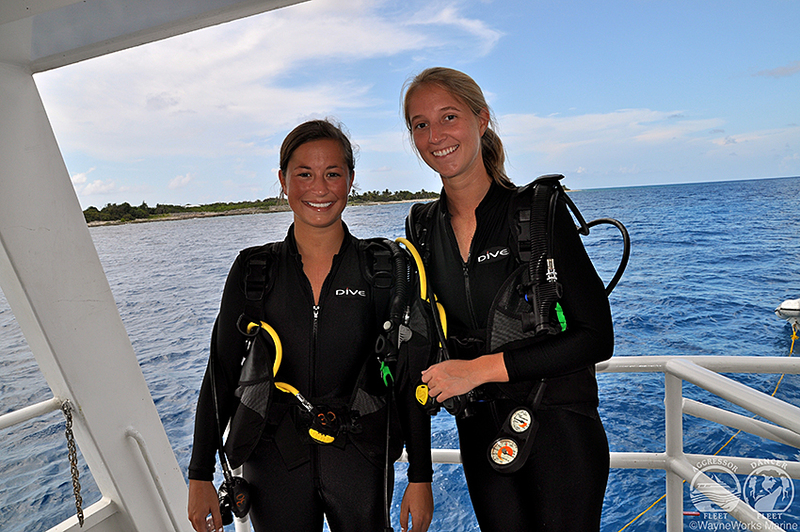 The Grand Cayman is the most visited island by the divers. 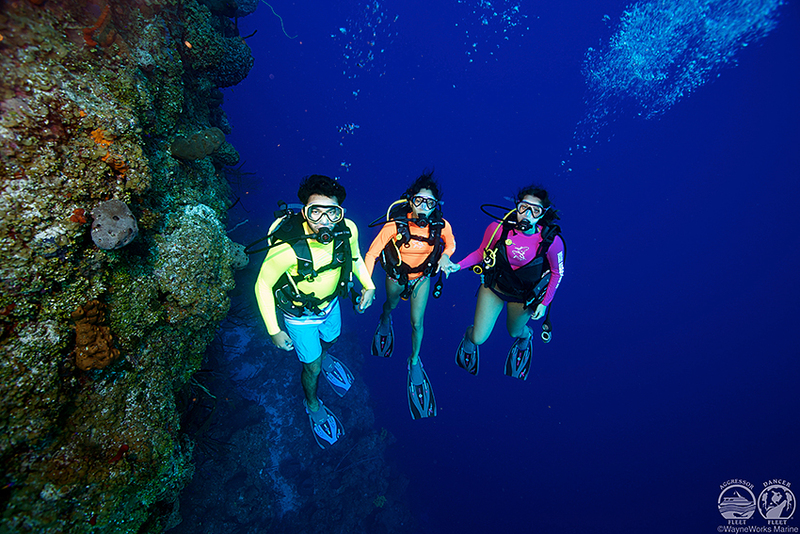 Grand Cayman's "North Wall" plunges over 1800 meters into the void and offers beautiful wall diving with opportunities to see spotted eagle rays and sea turtles. 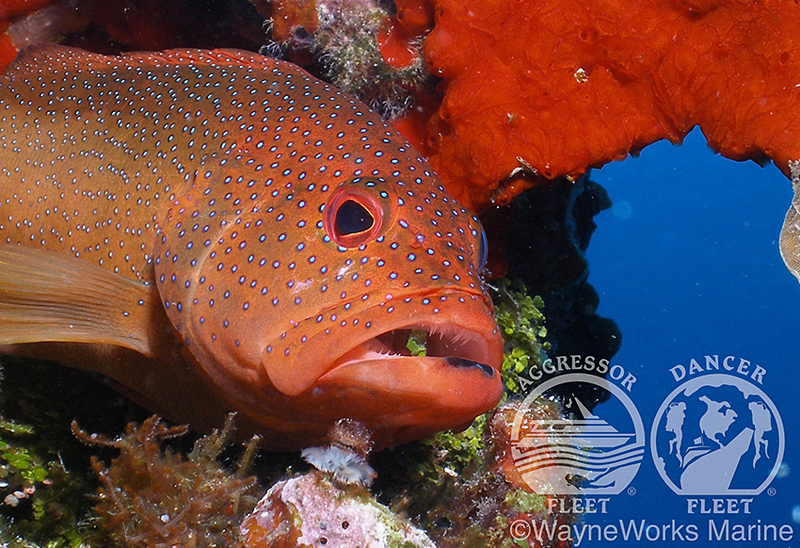 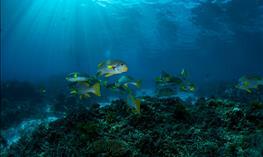 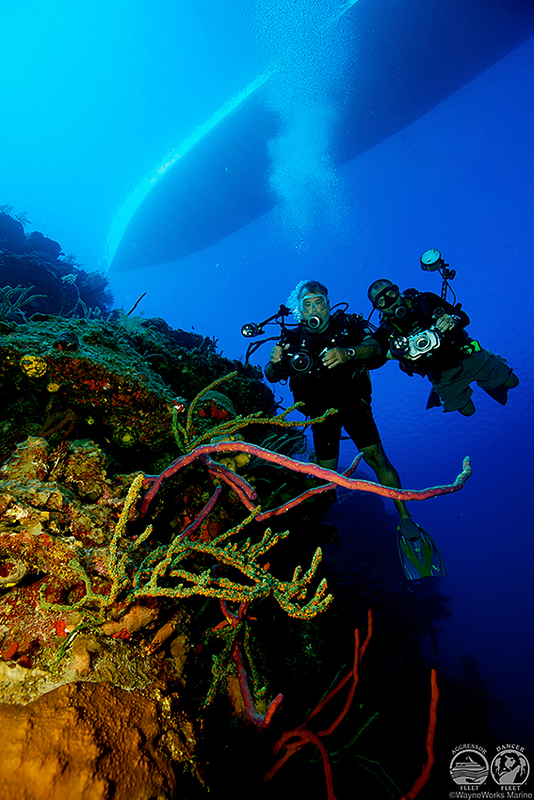 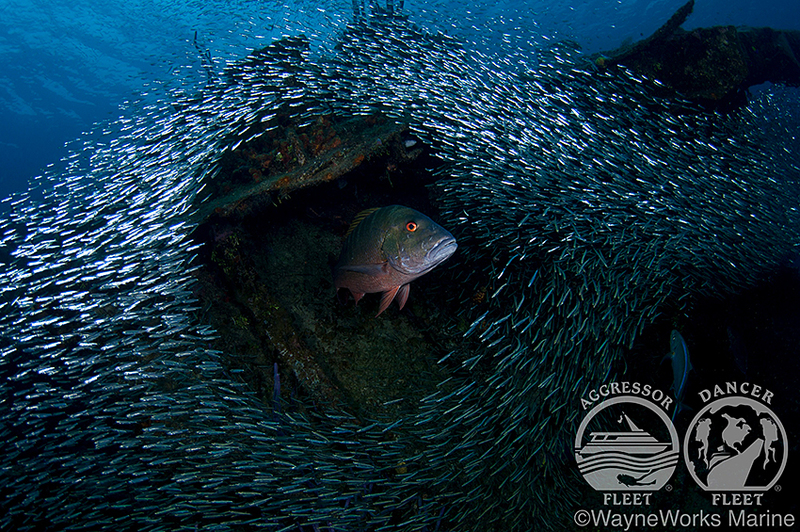 Grand Cayman has a number of easily accessible dive sites with with little or no currents at all. 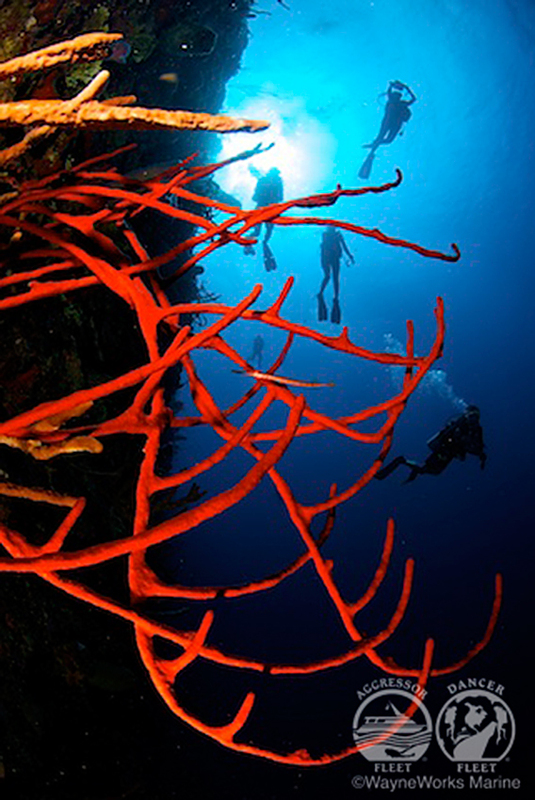 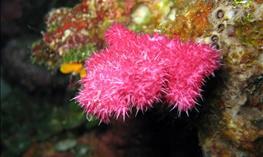 Little Cayman’s ”Bloody Bay Wall Marine Park", known for its vibrant colours and dramatic drop offs with tunnels. 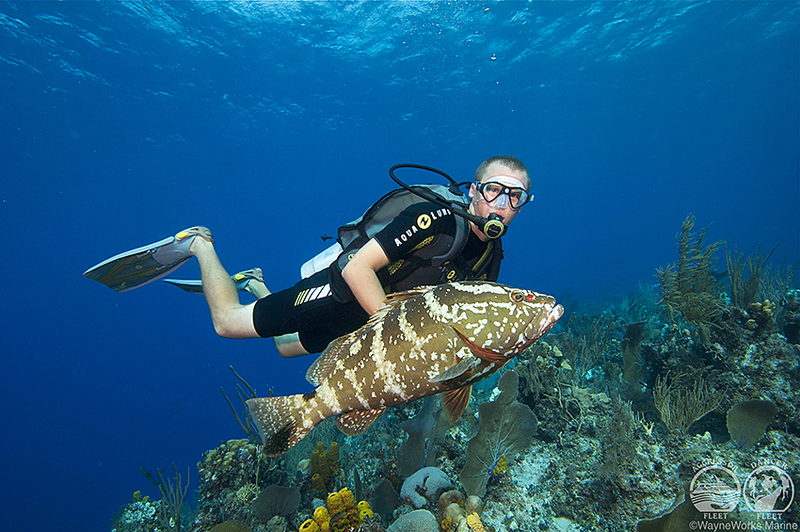 Cayman Brac offers a good mix of wall, wreck and reef diving for all levels of experience. 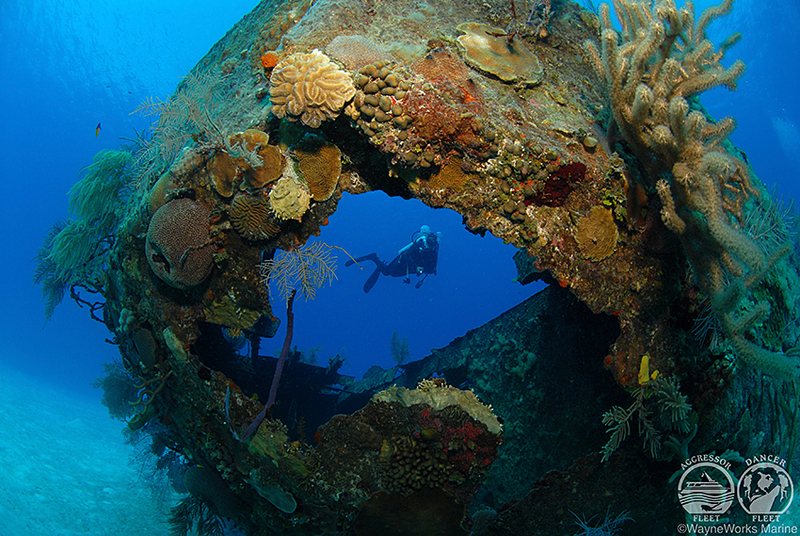 From a five-star hotels in Grand Cayman to charming bungalows of The Little Cayman there is an option for everyone with hundreds of dive sites to explore. 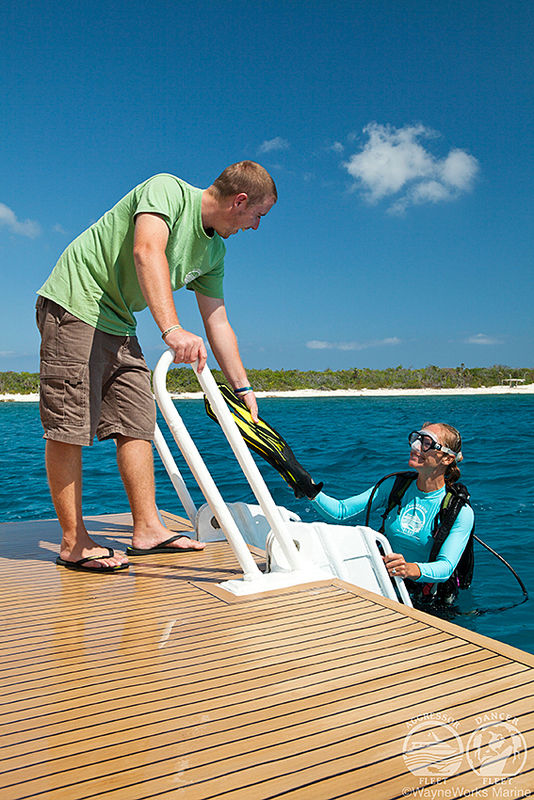 Travel, cancellation and dive insurance. 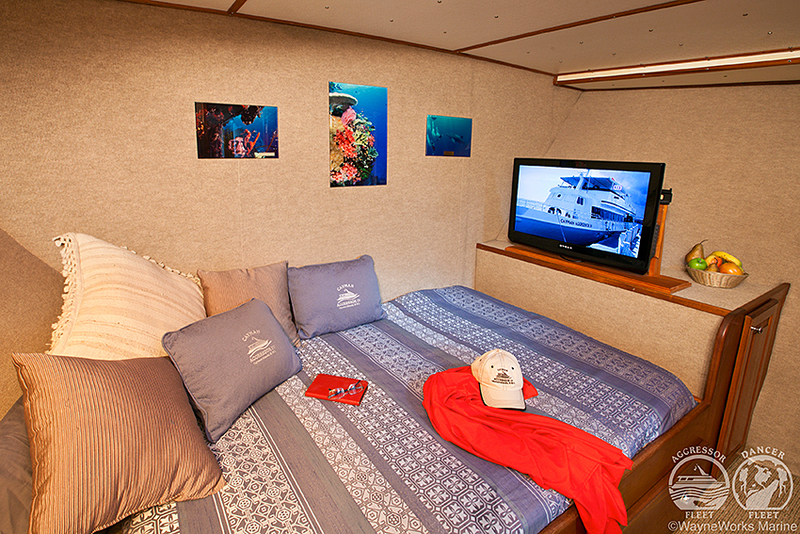 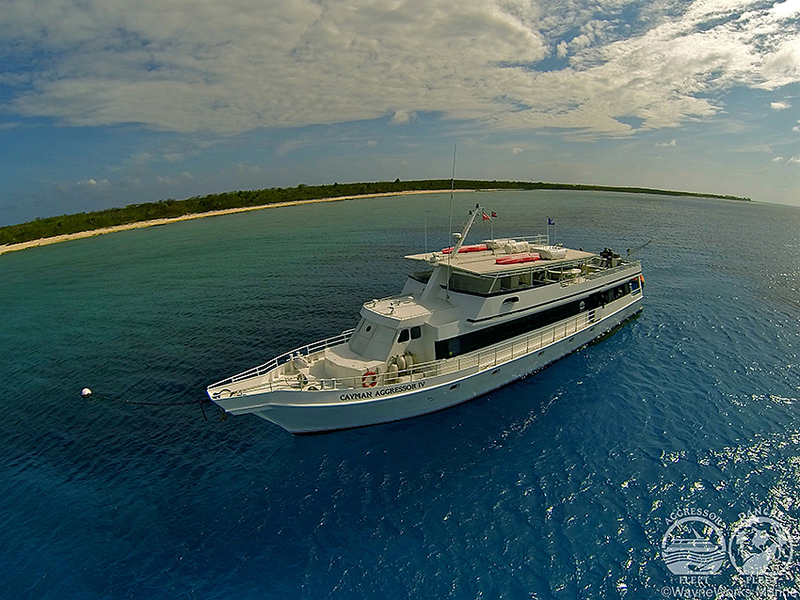 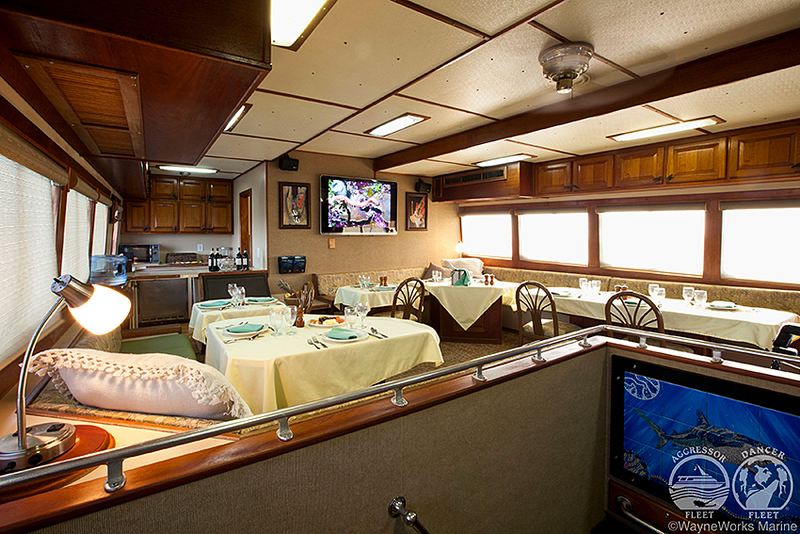 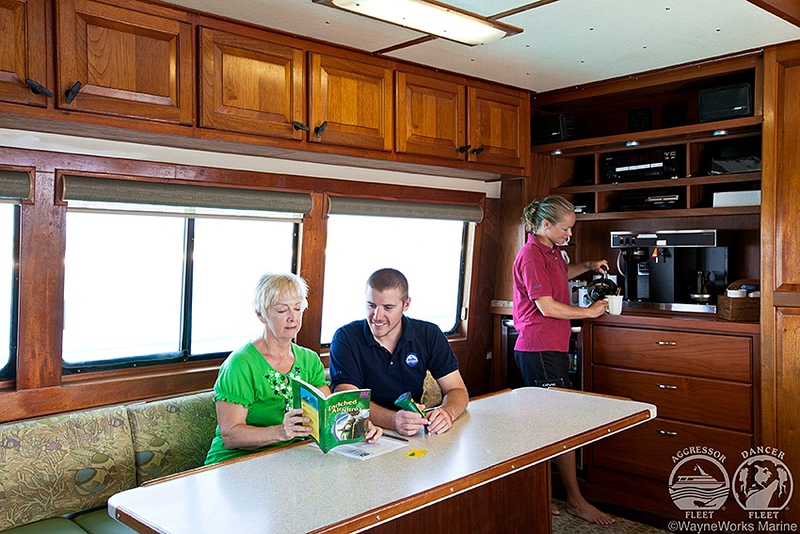 Price: based on shared cabin on ”first come first served" (see overview map below staterooms). 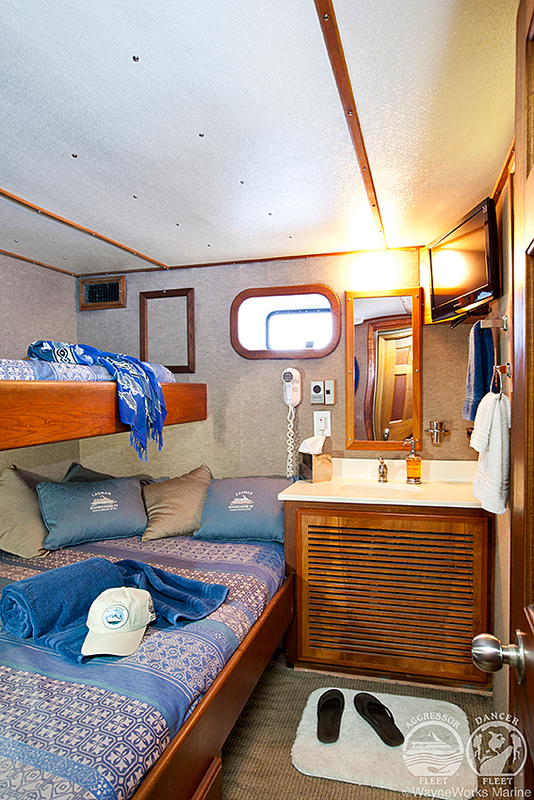 Surcharge for single room available. 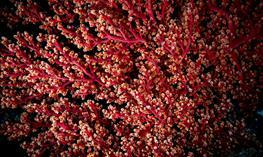 Europe*: Departures from all major European gateways available. 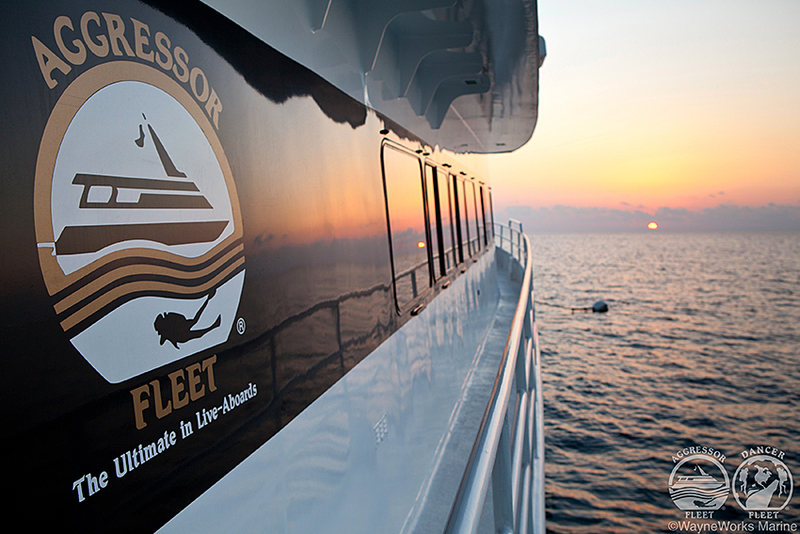 Best time to go: All year round destination. 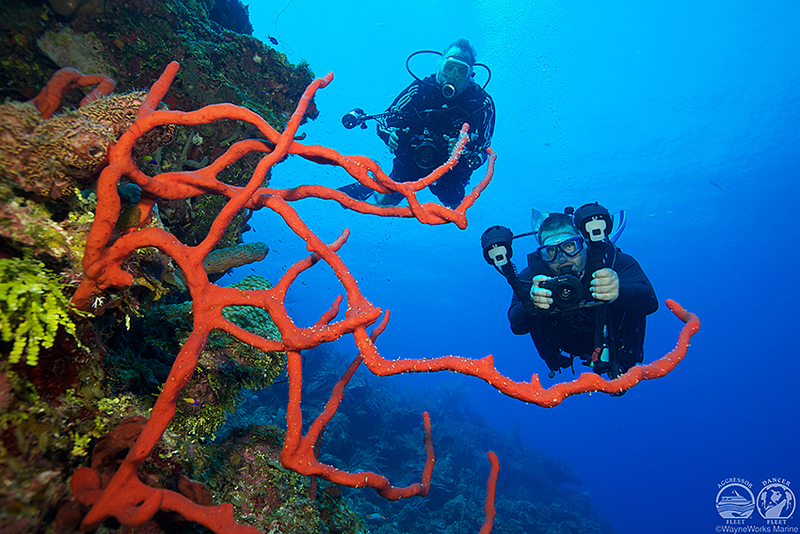 Currents: Little or none on most of the dives.